There is liquid forest gold glimmering in the bioeconomy side streams. The Pihqa spruce resin balms, made in Finland and launched in 2016, are suitable for both humans and animals. The balm production is a multi-stage process based on a century-old recipe. The end product is a range of gel-like substances for alleviating numerous skin ailments and damage ready to conquer the global markets. Working with nature has not only ensured humans continuous sustenance, it provides spiritual, physical and even financial enrichment as well. Studies have found, for example, that a mere 15-minute stroll through the woods can help reduce blood pressure and stress levels. Forests have been found to have a healing effect on children’s allergies, prompting the Japanese to develop so-called health forests into an actual product. Mankind learnt to utilise the natural products of forests eons ago, with the use of spruce resin going back generations. A medical journal dating back to as early as 1578, written by Benedictus Olai, refers to the benefits of resin. Many Finns will also undoubtedly recall their grandparents talking about resin chewing gum and the use of resin as a bandage. 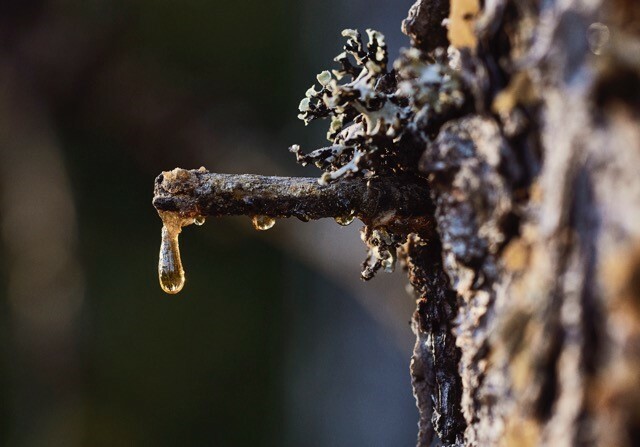 Spruce resin is a renewable natural resource, which has taken researchers by surprise, reaffirming centuries-old notions conveyed through folklore regarding the healing properties of spruce. Spruce resins have been studied extensively during recent years, with a significant amount of capital allocated to its research. In the 2016 Slush event for start-up companies, a prize of €100,000 was awarded to research looking into the medicinal properties of coniferous trees. Spruce resin contains hundreds of ingredients, including various antioxidants and flavonoids. Resin is a mixture of extremely delicate oil and natural resin acids. The natural product works as an antiseptic, which also helps speed up skin regeneration. Spruce resin is used extensively in the treatment of various forms of skin damage, from cracking fingertips and heels to dry cuticles, lips, scratches and various rashes, fungal infections such as yeast infections and ringworm, insect bites, burns, sunburn, birthmarks, cold sores, spots, warts, dry skin and scalp, as well as alleviating psoriasis and atopic skin symptoms. Karelia Arctic Oy launched the naturally forest-scented Pihqa balm in late 2016. Simple to apply, this flagship product is built on tradition, safety, shelf life and consistent quality. Pihqa is made in Tuusula, Finland, from hand-harvested spruce resin according to a 100-year-old recipe. The production process is free of solvents and alcohol. In addition to spruce resin, the balm contains pharmacological Vaseline, which is the least allergenic base ingredient for a gel-like product. No trees are damaged during the resin harvesting and no heavy equipment is used during the process, allowing the harvesters to enjoy the natural environment while earning money. The harvested resin financially benefits the forest owners as well. Utilising one of Finland’s greatest resources and globally marketing the purity of our nature promotes Finland as well. Karelia Arctic’s company values and strategy focus on embracing Finnish nature for the benefit of both humans and animals in a sustainable, non-damaging way. Pihqa is a certified domestic flagship product, which is available in three strengths for various user profiles. 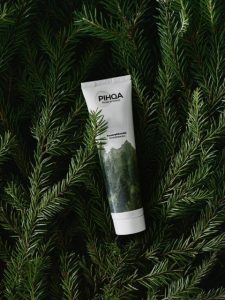 The Pihqa balm for humans contains 10% spruce resin, while the Pihqa balm for small and medium-sized domestic animals contains 15% spruce resin and the Pihqa Horse for horses and large animals contains 20% spruce resin. Pihqa Horse is also available in a larger 440ml jar, which makes it easy to use for production animals. Pihqa spruce resin balm is designed for a variety of everyday needs. We are constantly seeking new solutions for modern problems as old solutions are exhausted or become obsolete through evolution, as is feared to happen with antibiotics. 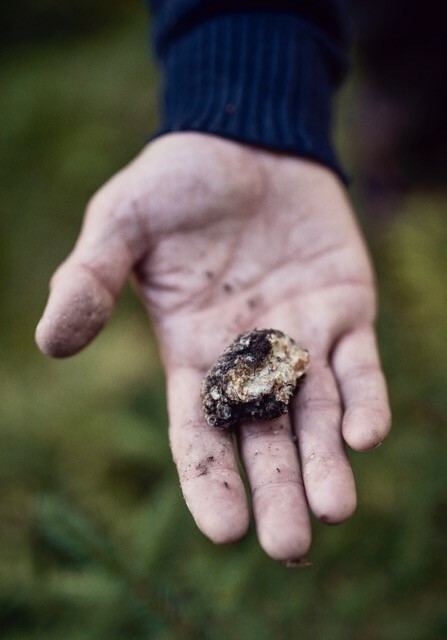 Our solution is to return to our roots and use a beautiful, age-old product, Pihqa, originating in the Finnish countryside and readily available via our online shop. The author of the article David Solomon is the CEO of Karelia Arctic. The article is published (in Finnish) on Apr 11, 2017.